Have you clicked on a link in a search engine before, not realising that you’ve actually clicked on a paid-for advert? Don’t worry, you’re not the only one. In fact, data from last week shows that 36% of people still don’t realise that Google AdWords are ads. According to the study which was carried out by the consultancy firm Bunnyfoot, 81% of web users clicked on Google Adwords instead of organic search results. And just 41 people out of 100 individuals tested even assumed that the top ads deliver the most authoritative and accurate results. Whether it’s Google Ads, the Bing Yahoo Search Alliance, or any other pay-per-click portal, PPC advertising is an investment almost every marketing manager makes. And when going international, it’s a great way to get quick leads. So what should you consider before launching a multilingual pay-per-click campaign? 1. Research your market: Before you rush into setting up your new multilingual pay-per-click campaign, research the market you’re planning on expanding into. Google owns the lion’s share of the pay-per-click market with 72.8% in 2012, but it’s not the number one everywhere. In China, for example, local competitor Baidu is the leading Chinese language search engine. Many of the local search engines run their own pay-per-click portals. Also, don’t forget that people are increasingly searching by mobile phone. Make sure that you set up your multilingual pay-per-click campaigns and adjust your settings for a mobile audience. If you want to expand to India or China, it’s especially crucial to set up a mobile campaign, because 30% of the world’s mobile users live there. 2. Use location and language targeting: Google recommends that you create a separate campaign for each language and country. For example, if you’re setting up a campaign in Switzerland, you can target German, French, and Italian speakers individually. Also consider different time-zones when you create your multilingual pay-per-click Campaign. Google, for example, works with the time-zone you set up your account in, not the time-zone in your target country. 3. 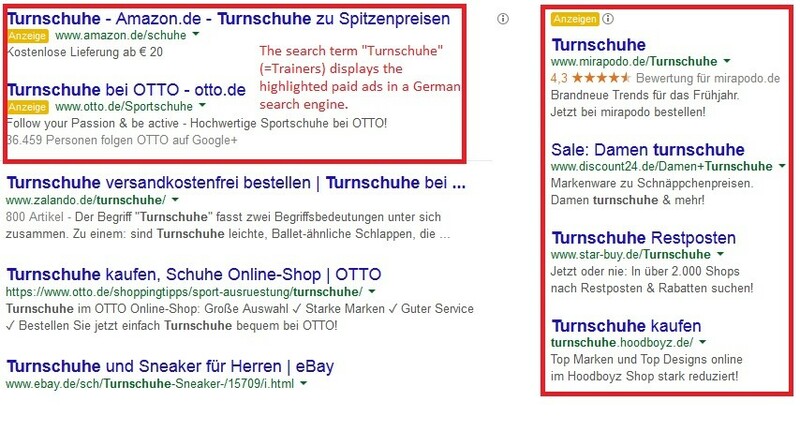 Translate your ad text and keywords: Assuming you’ve set up a German campaign to target the German market with your latest products, it’s now time to fill the ad text with words and add your first keywords to your campaign. Don’t make the mistake and translate your English ad campaign word by word, or by using a member of your team with a GCSE in German. When targeting foreign markets, it’s important to consider cultural aspects in the translation process. Use a professional translation company who can localise your ads and keywords for the German market. Professional translators take into consideration that German words are longer, and that the ad text can’t just simply be translated from English to German because the characters wouldn’t fit. 4. Translate your website: Don’t let a potential overseas customer be put off by an English language website. You might think the job is done when foreign internet users click on your ad. But it’s actually only the first step, and the hard work begins when they arrive. If you have a restricted budget it’s best to start by translating the landing pages. Landing pages are the first thing your potential customers see when they click on your paid-ads. As soon as you close your first sale, you can reinvest your profits and gradually translate your whole website. With all the tips above, launching a multilingual pay-per-click campaign will be just as easy as working on a local campaign! What are your experiences of multilingual PPC campaigns? Our PPC expert Linda is on hand to answer your PPC related questions. Just ask in the comment section below!